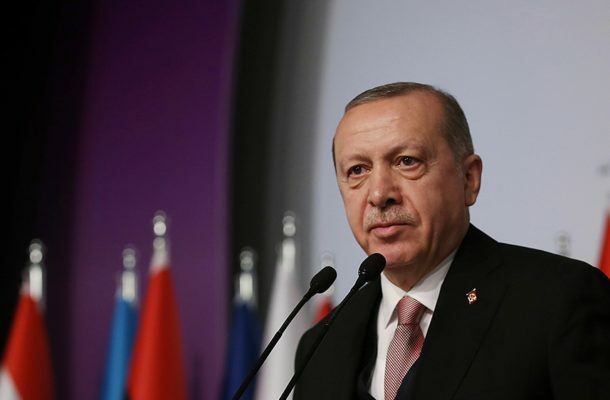 Turkish President Recep Tayyip Erdogan on Tuesday condemns comments by a senior US official urging protection for Kurdish allies as "seriously mistaken". US National Security Adviser John Bolton held talks in Ankara with Turkish presidential spokesman Ibrahim Kalin and other officials on the handling of armed groups in northern Syria and the US's planned pullout of its forces there. A joint press briefing scheduled to take place was abruptly cancelled and Bolton was set to depart Turkey without meeting Erdogan in a likely snub over disagreements about Kurdish fighters. During his visit to Israel on Sunday, Bolton set conditions for the US pullout from Syria that included Turkey guaranteeing the safety of the Kurdish militia that spearheaded the fight against the Islamic State of Iraq and Levant (ISIL, also known as ISIS) group. "We cannot accept the message Bolton gave from Israel, we cannot be deceived by it," Erdogan said in a speech to his Justice and Development Party (AK Party) deputies. US President Donald Trump announced the withdrawal of some 2,000 US troops from Syria last month in a statement that shocked many politicians in Washington as well as Western and Kurdish allies who fought alongside the US in the war-torn country. Turkey has long condemned Washington for its military relationship with the Kurdish People's Protection Units (YPG) in Syria. Ankara considers the YPG and its political wing, the Kurdish Democratic Union Party (PYD), to be "terrorist groups" with ties to the banned Kurdistan Workers' Party (PKK) in Turkey. However, the YPG has been Washington's main ally in the war against ISIL in Syria for several years. "The US apparently does not know them," said Erdogan. "These terror organisations do not represent my Kurdish brothers. If the US sees these groups as [representatives of] my Kurdish brothers, they are seriously mistaken." Erdogan stressed he and Trump had reached a clear agreement in December over the swift withdrawal of the US forces from Syria, in return for Turkey taking care of the remaining ISIL threat in the war-torn country. "I promised him to take all the necessary initiative elements over the issue. However, different levels of the US administration started saying different things after that." The Turkish leader also said his country had completed preparations for a new military operation in Syria. Sinan Ulgen, chairman of the Istanbul-based Centre for Economics and Foreign Policies Studies, said Erdogan's statement reflects the disappointment in Ankara over Bolton's comments on the planned US withdrawal and the future of the YPG. "Since the conversation between Erdogan and Trump, Washington has shifted positions on the timetable for withdrawal and the conditions to do so, including the one over the YPG, the most important one for Turkey," he said. "Trump seems to be convinced by people around him and agreed to these new positions for now. Therefore, further tensions might come up in near future between the two sides." Later on Tuesday, Kalin, echoing Erdogan's statements, said Ankara had been irritated by statements coming from Washington that associated Syrian Kurds with PYD, YPG and PKK. The presidential spokesman also said Ankara would not seek US permission to carry out military operations inside Syria and would not allow the US troop pullout to create a new opportunity for "terrorist" groups. "We are happy with Trump's decision to withdraw [from Syria]. However, it should be made clear what sort of a structure will be left behind, and what will happen to the US military bases and the weapons given [to the YPG]," he said.